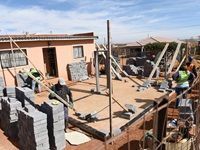 Clover has awarded Dorah Semenya of the Shalate Drop-in Centre in Seshego, Limpopo with the 2018 funding for a valued site improvement as well as bread baking training. 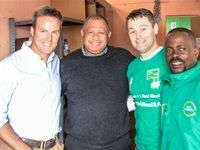 This forms part of the Clover Mama Afrika Madiba Week, which Clover is running with fleet and mobile asset management solutions company MiX Telematics. 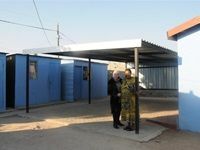 The Wonderbag Foundation has given back this Mandela Day by feeding hundreds of people from a local community with warm and nutritious food. 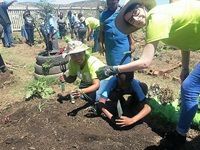 McCain Food South Africa dedicated its 67 minutes for Mandela Day to planting vegetable gardens at the Johannesburg Children's Home and the St Francis Care Centre. 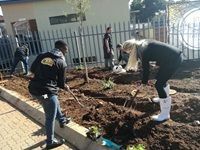 This Mandela Day, KFC staff members, along with NGOs, and other stakeholders spent the day volunteering and participating in fundraising initiatives linked to its Add Hope feeding initiative and the charities it supports. 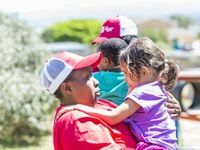 The KFC head office in Johannesburg ran a can collection drive that led to the packing of 720 boxes of food for JAM; one of the 137 NGOs that Add Hope supports. 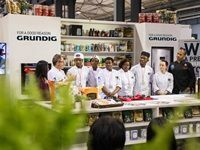 Appliance brand GRUNDIG has donated two eye level ovens and a counter top hob valued at over R20,000 to the Ikusasa Culinary School. As one of the Shoprite Group's #MandelaDay2017 initiatives, it will take hands with NOAH. NOAH lives #ActForChange and takes #ActionAgainstPoverty by making it possible for social pensioners to live with dignity, purpose and companionship. Through its #BraveTheWinter initiative, Edgars and local celebrities have provided underprivileged children with essential winter attire as the colder season makes its way across the country. 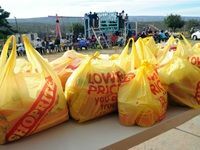 Shoprite is paying it forward with its #YellowPacketChallenge by asking South African consumers to donate grocery bags filled with non-perishables to individuals and organisations in need. 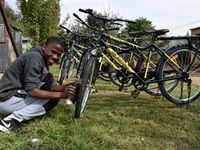 The challenge, which has been running since 22 May 2017 and will end on 9 July 2017, encourages consumers to share with someone less fortunate. 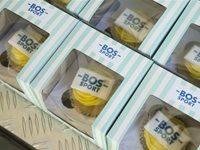 Bos Sport held a special event to hand over the R10,000 cheques that the Go Bos Fund has donated to One Heart, Afrika Tikkun, Grassroot Soccer, Inspired 2 Become, and Share The Stroke. 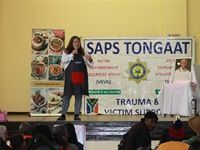 The handover event was held at The Station in Green Point and the respective NGOs and the young people enrolled in their programmes participated in a series of fun challenges, which was followed by a braai.